NEW! Sign Up for our email list on the Contact Us page and be notified when new property becomes available! Click here NOW! Relax! Buying or selling a homecan be stressful. 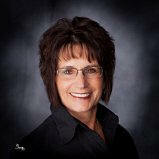 So let Britton Real Estate & Appraisals take a load off your shoulders by letting Sandy do the "dirty"work. She will list and advertise your property so you can worry about more important things. If you are considering buying a new home or lake cabin, just give her a call and she will do her very best to find you your ideal dwelling. Want to relax even more? Well, Britton is located in the Glacier Lakes region which is perfect for recreation. We've got lots to offer - hunting, fishing, boating, and golfing - just to name a few. This little part of the world is just now being discovered by others outside the community as a great place to get away to for the sports enthusiast, and those just want to just relax, get away from the hustle and bustle and enjoy the beautiful outdoors and friendly atmosphere of South Dakota hospitality. Britton is a progressive community of approximately 1500 people and is the county seat for Marshall County. Some of the recent improvements include a new library, an outdoor swimming pool and recreation area, a new school sports auditorium, new surfacing on the track field, with the football field moved to this new location. Health care facilities include our own hospital and clinic with a wellness center for physical fitness. New business establishments have also been constructed and main street buildings updated and remodeled to meet the needs of this growing community. Manufacturing firms in the area provide employment, as does the local hospital and clinic, school system and agricultural related businesses. Most recent improvement is updating of sewer infastructure at majority of town in 2015. Construction of Britton Grain Terminal, just south of Britton completed in summer of 2016. My office is located at 1304 10th Street, access via the alley south of 9th Street. My goal is to provide you with good quality service for real estate listings and appraisal services! !